Kelli McDonald is a home and garden expert. She also writes for a handful of blogs and LuxeYard. With the prices of heating your home rising, finding unique alternatives for heating your home is definitely the next step. While converting your current home heating source to a newer alternative source may be expensive, the money you save on heating bills will be vast. Check out these six alternatives for heating your home, and do some investigating before choosing the right method for you. Switch To Natural Gas – In 2008 when the cost of heating oil rose beyond belief, many people already made the switch to natural gas. However, if you were not one of them, and your heating bills continue to rise, you should consider switching to natural gas now. Converting from heating oil to natural gas could cost you anywhere from $3,000-$7,000, depending on the size of your home, the efficiency ranking of the system and installation fees. However, in order to switch to natural gas, which comes from a local utility provider, you would need to be within range of that company’s network. For those who are lucky enough to be able to switch, you could receive the added benefit of converting other appliances, such as your stove, dryer and water heater to natural gas to save even more money. Ground-Source Heat Pumps – Geothermal heat pumps use the temperatures just beneath the surface of the earth to heat your home, instead of burning oil or gas. The cost of a ground-source heat pump installation can reach upwards of $10,000, which is far above the cost of a conventional heating system. However, it pays for itself in energy savings in approximately five years, with a reduction of about 35% in your home heating bills. Passive Solar Heating – Turning to the sun for heat is one of the most economical and environmentally safe ways of heating your home. However, the effectiveness of solar heating is dependent upon your climate, and will not fully replace your current heat source. For the most, this option is best for those building a new home, not looking to upgrade to a cheaper cost of heating. Active Solar Heating – Similar to passive solar heating, this unique alternative for heating your home uses a device known as a collector to absorb and store heat, and works with your currently heating system. While the cost of an active solar heating system can range between $15,000-$20,000, this is very dependent on the size of your home, your current heating system and the climate you live in. However, active solar heating systems can save you anywhere from 40%-80% over your current method. 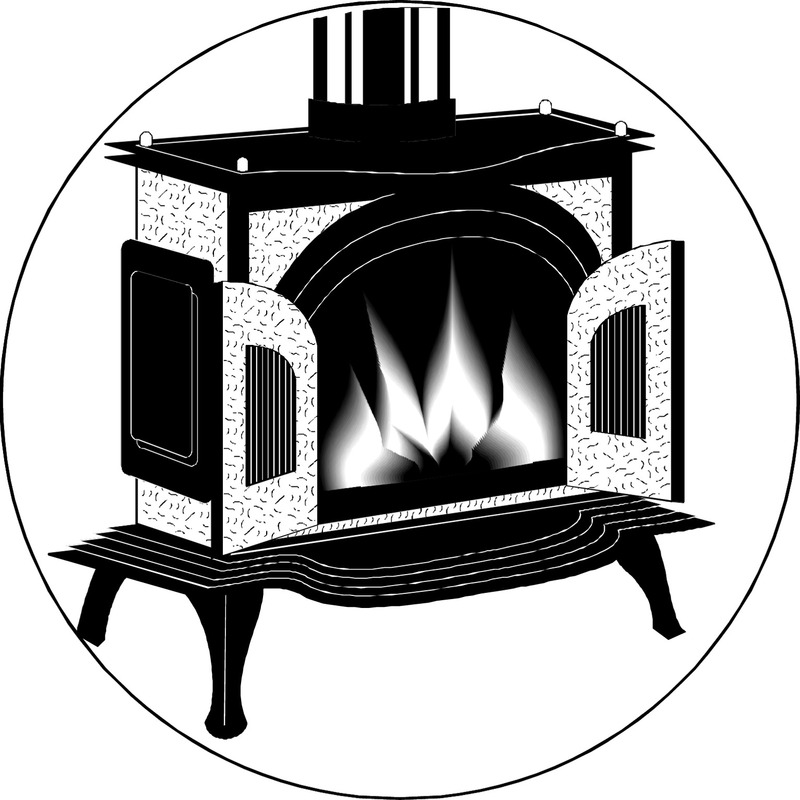 Wood Burning Stoves – In the last decade, or so, wood burning stoves have become more efficient and safer than in the past, and can save you approximately $20 per million Btu, over your current heating oil system. The price for a wood burning stove and installation fees is approximately $1,000, and may even fit in your current fireplace, which would reduce installation fees. Pellet Burning Stoves – Another unique alternative for heating your home is a pellet burning stove, which burns cleaner and is more efficient that its counterpart, wood burning stoves. The pellets are comprised of sawdust, nutshells, wood chips, corn kernels and other biomass waste. A typical pellet burning stove costs approximately $1,700 - $3,000, with lower costs for installation than wood burners, and often do not require a chimney. The average cost of a bag of pellets is anywhere from $120-$200 per ton. However, pellet burning stoves require the use of fans ran by electricity, whereas wood burning stoves do not. My cousin lives out in Norfolk and he uses oil they buy a barrel and it lasts almost 3 months and they say it is cheaper. I hear its cheaper too, just so long as you don't run out! I'd go with oil if had the choice. I knew someone in SoIllinois who had a coal burning stove in the basement, very messy.